Apple's process of modernizing its chain of over 500 retail stores continues in several major cities around the world. Over the weekend, Apple celebrated the grand opening of its relocated Beverly Center store in Los Angeles. Apple's original store in the shopping mall, opened November 2005, permanently closed at the end of Friday. Apple's remodeled stores often gain additional square footage to accommodate an increased number of both products and customers. The extra space is also beneficial to Today at Apple sessions related to photography, coding, exercising with the Apple Watch, and other topics. 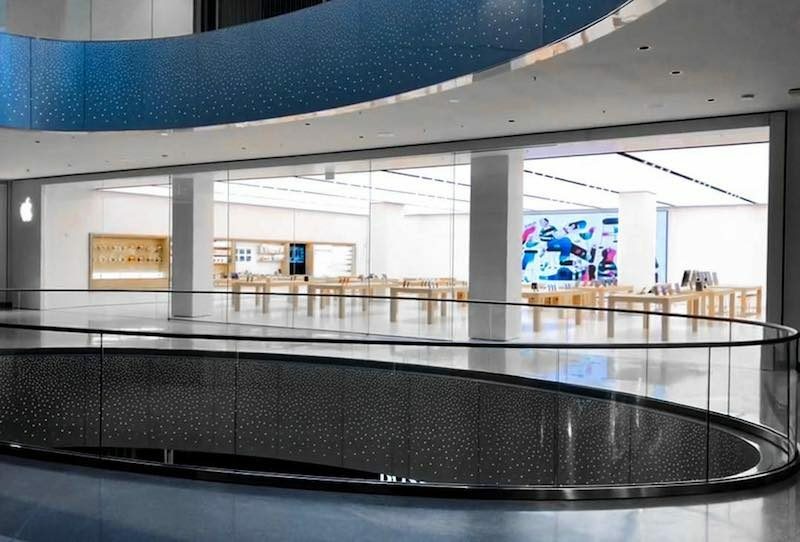 Apple's latest retail design, introduced in 2015, typically includes large glass doors, large video screens for product marketing and in-store events, and sequoia wood shelves on the walls for accessories. 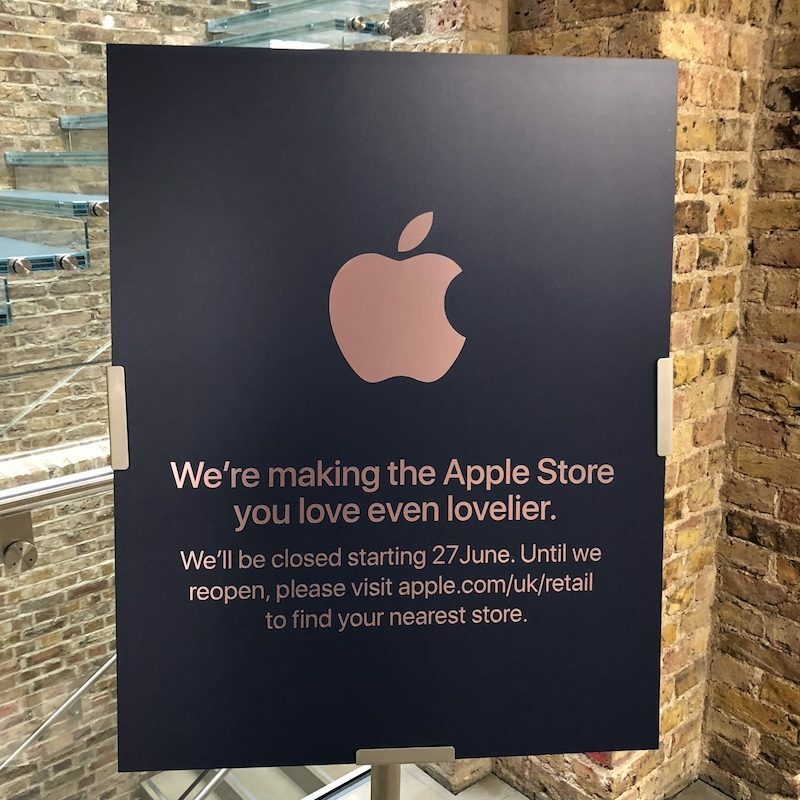 Apple recently announced that its flagship Covent Garden store in London will be closed starting June 27 to allow for renovations to be completed. Of note, this location became Apple's largest store when it first opened in 2010, although it has since ceded the title to a newer store in the United Arab Emirates. Likewise, 9to5Mac's Michael Steeber reported that Apple Wangfujing in Beijing will be closed for renovations starting June 24. 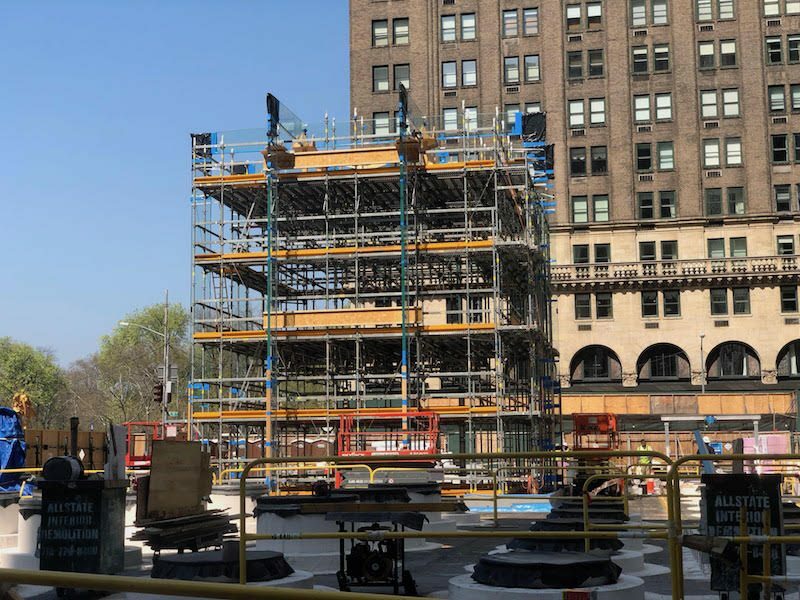 Apple's renovation efforts continue at its iconic Fifth Avenue store in Manhattan, and at its Palo Alto store, often visited by Apple CEO Tim Cook on product launch days due to its close proximity to Apple's headquarters. 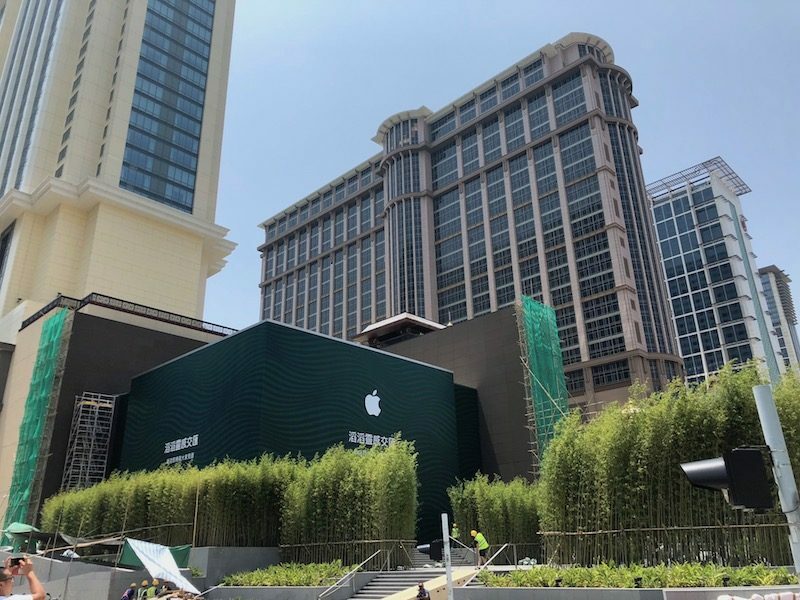 Update 2: Apple has announced on its store page for the Cotai Central location in Macau that the grand opening will be June 29.
apple's product changes have been so miniscule in the past years that the value of these stores has decreased significantly. for me it is basically zero. You can tell its modern by how white the walls are and how little products are on display. Great products mean great sales, period. "Innovation" can be garbage too. Innovation doesn't necessarily make a great product. Mac innovation isn't going to be as obvious because the product life cycle is longer and the size of the business is relatively smaller. Computers/Laptops are going to get updated processors and software, but they aren't going to move as fast as mobile and wearables. I think Apple has done a phenomenal job managing the business. You don't innovate so fast that you lose sales. You slowly release features and market them to maximize sales. That's business. It's working, btw. If people buy and are satisfied with incremental innovations, it is smarter to release them as needed and when the features are fully vetted...not just innovating to innovate. And to that I'd add MBPs with four ports of prodigious bandwidth multipurpose 40 Gb/sec Thunderbolt 3, 5K iMac displays with DCI-P3 color gamut, iMac Pro, Homepod, and ARKit. In many ways, Apple is beholden to Intel. I suspect that will change within the next two years. I guess you haven't really paid attention to all the changes they've made or they aren't valuable to you? Doesn't mean the changes have been "miniscule" to others or that the value of the stores has decreased. The entire company is more valuable today than ever before, so it kind of refutes your thesis. The value of the company and how good it's products are aren't mutually inclusive. matt_and_187_like_this ('https://forums.macrumors.com/members/matt_and_187_like_this.1007624/') is correct that Apple's product changes especially in regards to Mac have been demonstrably non-innovative and utterly lackluster since the round Mac Pro came out in 2013. That's the store that hasn't been done yet. The Covent Garden Store, which IMO is FAR superior to the extremely sterile product-vacuum over on Regent St. This upcoming refurb is a shame, because I've been using Covent Garden pretty much exclusively for the past couple of years, even though I work at the western end of Soho. I don't like the new design. Apple just seem inconsistent in their ability to develop product. How is it possible to have the talent to manage retail, develop audio products, nearly best in class security, still nearly great software, etc. and can't make a G D'ed new Mac mini? Have a B team make Performa machines for those who just need computers. Have the A team create the insanely great things like .... were still waiting. I haven't been in one for a while. Rarely anything interesting to see. Unless you like looking at phones. They used to have a range of products that weren't little handhelds. When I drive past I also notice less people in the stores than there used to be.